Over the last few years, influencer marketing has become tremendously more popular, more accepted by consumers, and more profitable for brands. But these campaigns are also being carried out on a much more complex playing field – thanks to factors like transparency regulations, increased noise, and the overall erosion of organic social media reach. 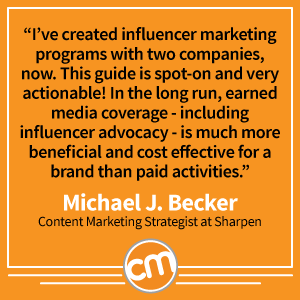 That’s why we decided to update our highly popular Influencer Marketing guide, and fill it with brand new tips, more powerful techniques, and the latest industry-leading advice that will help content marketers get more value from their influencer relationships – without getting overwhelmed by all the possible approaches and options. We’ve broken the process down into eight distinct steps that will enable you to plan and execute an influencer program from scratch, or pick up a few new tricks for making your existing efforts more effective. 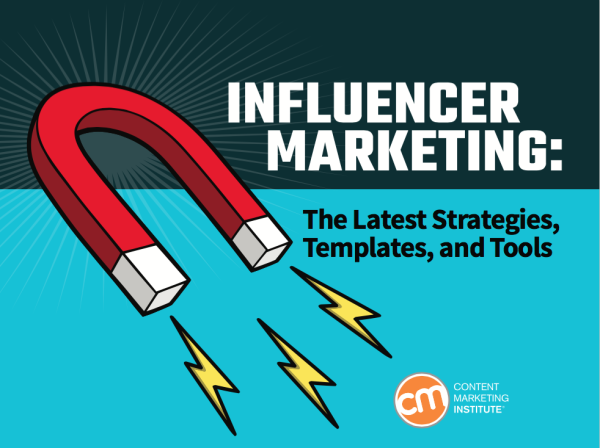 By downloading the new guide, you’ll also find handy reference charts and downloadable templates you can customize to fit your team’s specific content marketing needs and goals.